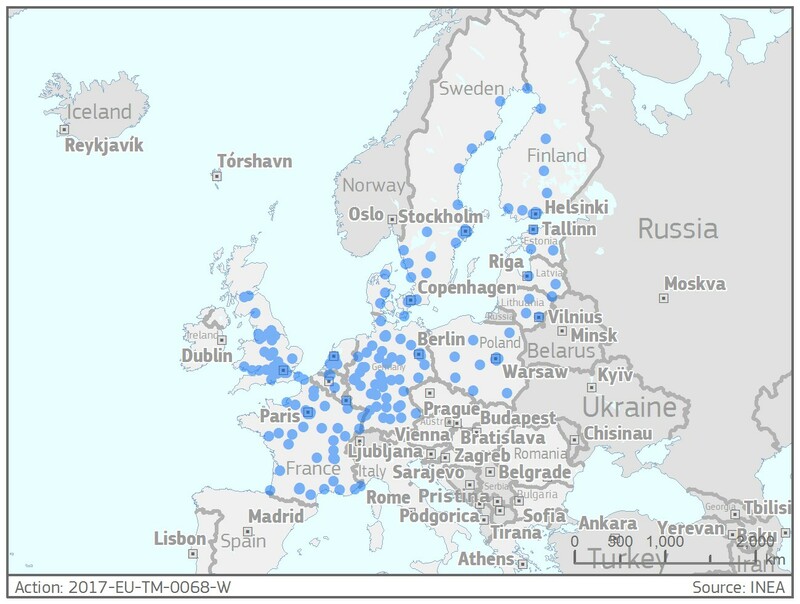 This Action contributes to the Global Project aiming at installing 322 ultra-charging (UC) stations in 20 European countries. The Action itself encompasses the deployment of 202 UC stations (up to 350 kW) in 30 greater metropolitan areas within 13 countries along the Core Network corridors and the Core Network itself. MEGA-E also foresees the introduction of 39 multi-modal e-hubs in 10 major cities (park & ride facilities and intermodal nodes, such as train stations and bus terminals), allowing UC and/or intermodality with e-taxi, e-car sharing, e-logistics or e-buses. The Action will contribute to expand the coverage of ultra-charging stations across the European Union.